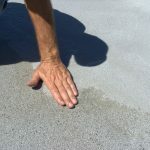 HomePonding Water 101Ponding Water 101Repair, Repatch, Replace: What Are Your Options? Repair, Re-patch, Replace: What Are Your Options? 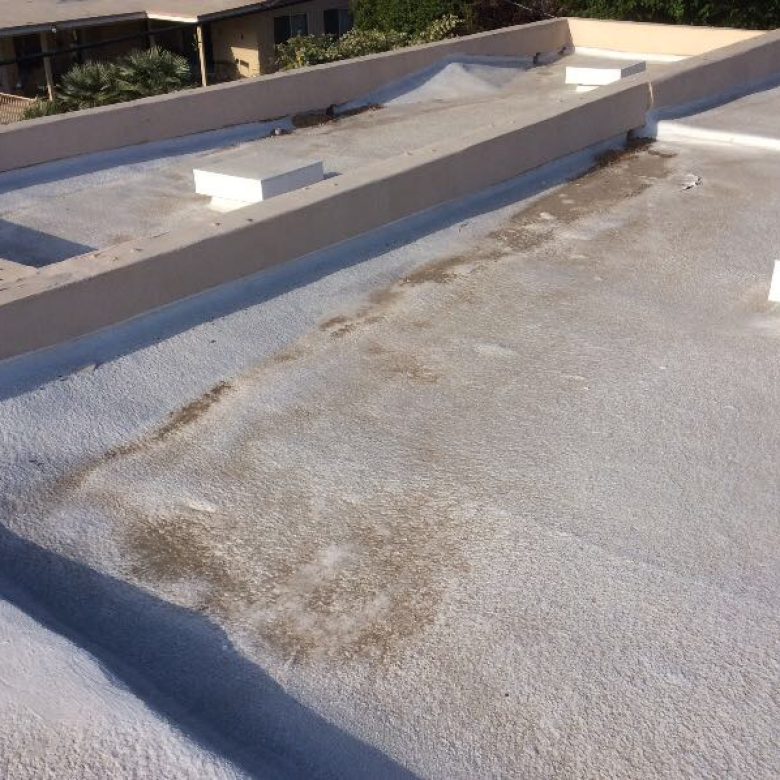 When there is damage to a flat commercial roof, your goal is to get it repaired as quickly as possible. However, depending on the extent of damage, there may be a few different options available to you. This includes repairing, re-patching or getting a complete replacement. Understanding the differences between the three options will make it easier for you to make a better decision for your commercial property. According to Home Advisor, repairs will cost property owners between $316 and $1061 for a roof repair, which is something that commercial property owners don’t want to spend when it can be helped. The total cost is going to depend upon the size of the roof, the geographic location as well as the full extent of damage. Often, a repair is going to provide an immediate solution to a problem, such as water dripping into the building. It may be as a result of damage from the storm, signs of wear, or even because of wood rot or mold. A repair will usually take care of the problem, especially on a newer roof where there aren’t other existing problems found at deeper levels. Roofing re-patches are generally above and beyond a standard repair. This is when there may be rotting wood, mold, and much more. It means that a portion of the roof may have been cut away, and the patch is there to prevent elements from entering the building. 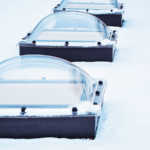 It also ensures that the initial problem, such as wood rot or mold is eliminated so that it cannot spread to other areas of the roof. Re-patches are generally the next step to explore before a replacement of the roof is required. There are various signs that you may need to replace your roof. This can include significant damage, multiple repairs and re-patches already done, as well as a roof that is 20+ years old. Replacing a commercial roof is going to be the most expensive option. Although expensive, you can also explore a variety of different materials and shapes. Asphalt is going to be the most common material used, and while you may want to go with a flat commercial roof once again, you do have some options. Adding at least some kind of positive slope will help water to run off so that you are less likely to experience the need for repairs and re-patches down the road. When you decide you need a replacement on your roof, you will want to work with several contractors in order to learn of their recommendations for your commercial property, as well as their pricing. Regardless of whether you decide on a repair, a re-patch, or a complete roof replacement, you need to work with a qualified roofing contractor. The National Roofing Contractors Association provides a long list of recommendations, including finding someone who is capable of providing you with a written proposal, who has a license and is bonded, will provide you with the warranty, references, and offers a maintenance program. You can also learn a lot about a roofing contractor by looking to see if they are a member of an industry association, such as NRCA, and have a commitment to continuing industry education. Whenever there are problems with a flat commercial roof, you also want to make changes to the overall slope so that you don’t have to deal with drainage problems in the future. It is often the pooling of water that causes the most issues. When you can eliminate the pooling, you will eliminate many of the other problems. The positive slope can be created on a flat roof, eliminating many of the most common drainage issues. 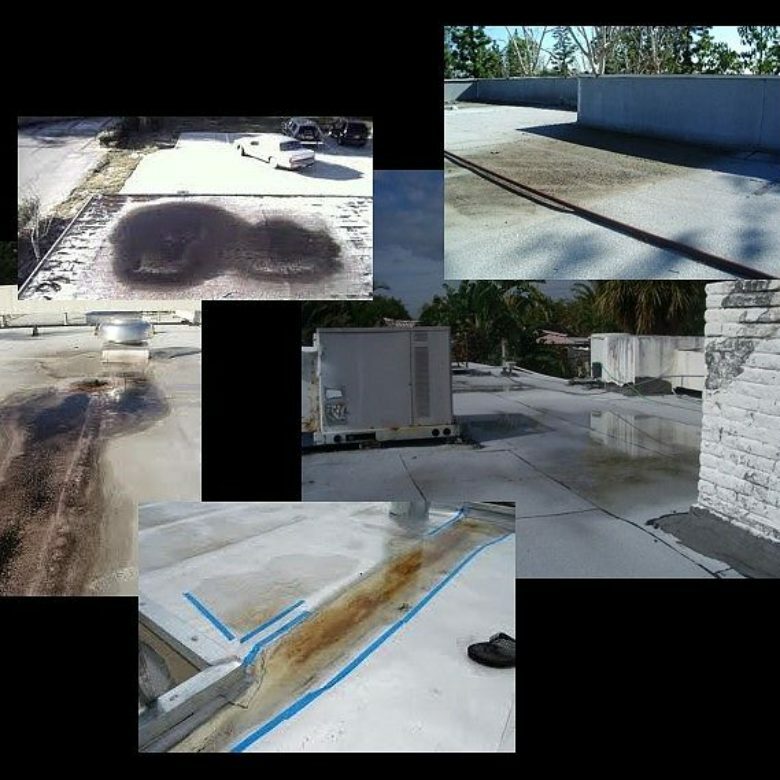 For more information about filling in divots within the surface of the roof as well as obtaining a positive slope, contact RoofSlope today.